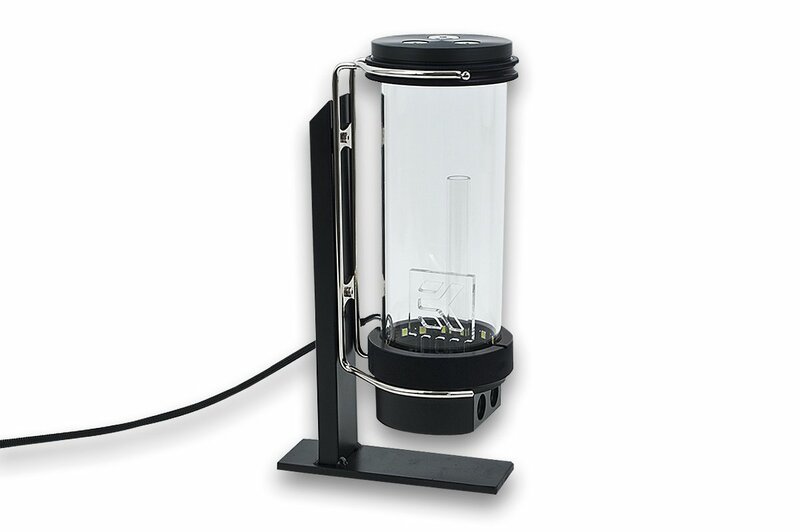 EK-RES X4 is a standalone high-quality cylindrical liquid cooling reservoir unit. 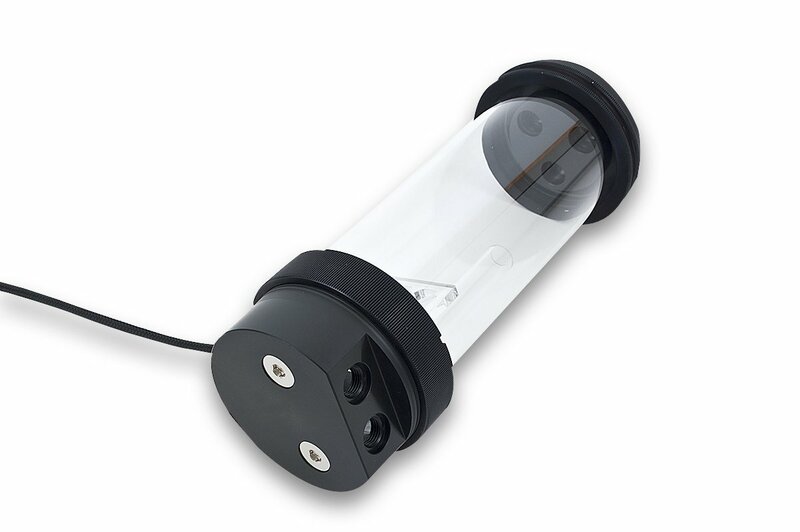 The first major distinction from the existing RES-X3 Series is its sheer size with 250mm in height and 90mm of diameter on top and the bottom. 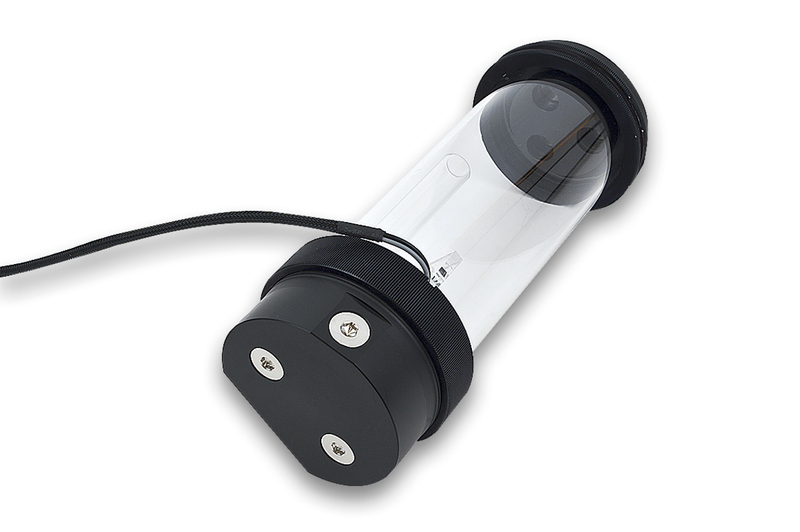 The body of the unit features premium high quality borosilicate glass tube with 80mm in diameter. 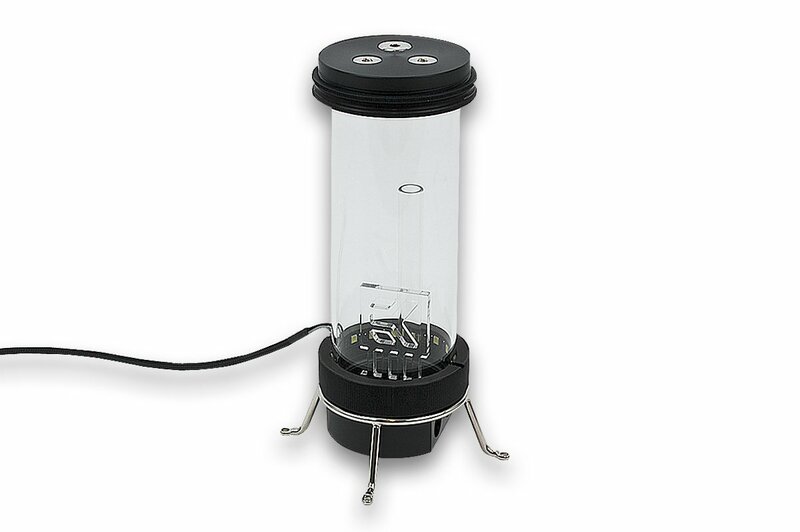 This provides extreme volume space and the reservoir can hold up to 0,8 liters of liquid. 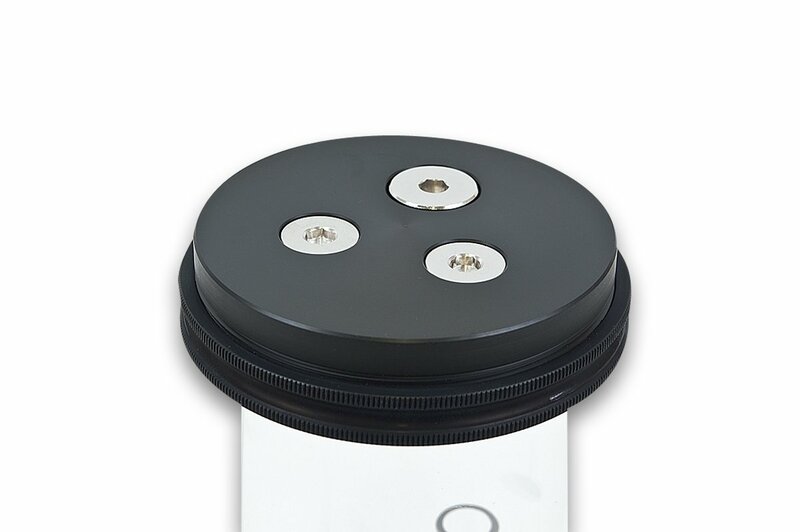 Top and bottom are made of quality POM Acetal material, while the locking rings are made from black anodized CNC machined aluminum. RES X4 UNI holder and RES X4 120mm fan holder are enclosed for mounting the unit inside the case. Both are made of nickel plated metal. One is designed as a vertical stand that can be mounted on a 120mm fan or chassis bottom and the other as, either vertical or horizontal stand for mounting directly in the chassis. The mechanism allows for easy adjustment and orientation. 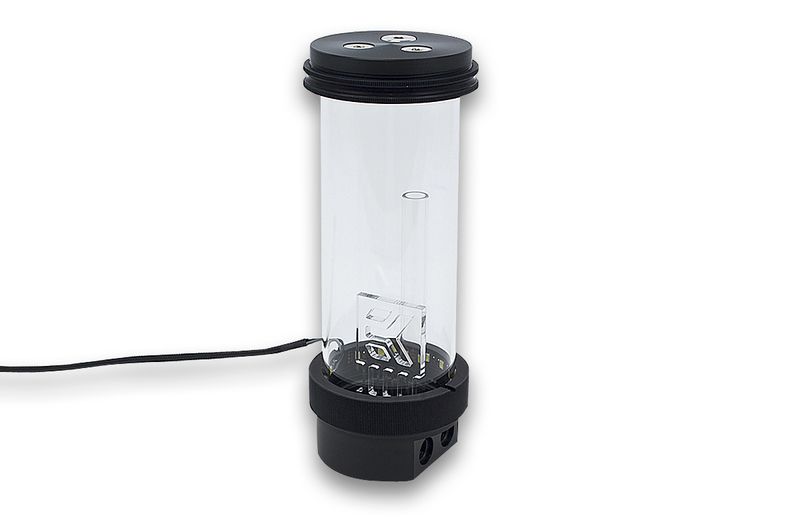 Bottom features an LED strip with a white bright light-emitting diodes that will illuminate the liquid inside the reservoir. 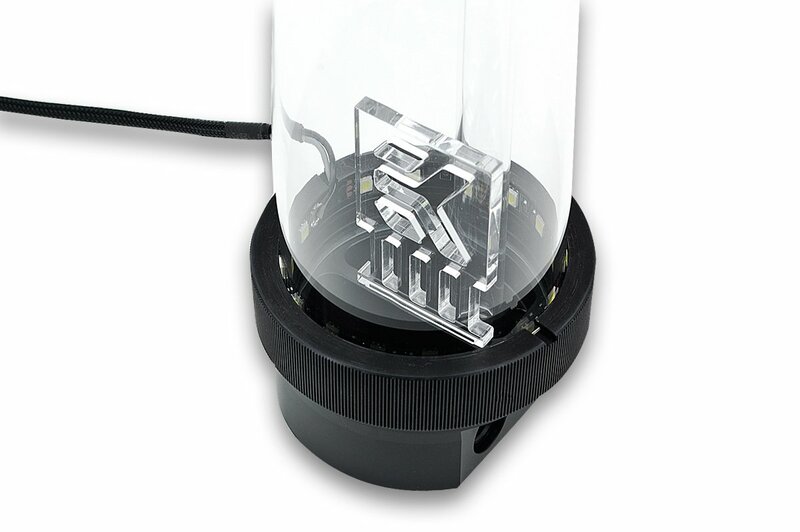 The position of the LED strip cable is also adjustable. LED strip is powered by a standard SATA power molex connector.